Service Rank and Number / Rheng gwasanaeth a rhif: Private No. 5809. 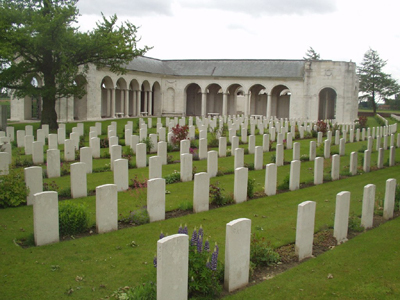 Military Cemetery/Memorial / Fynwent milwrol: Le Touret Memorial, Pas-de-Calais. (Private 11069 Joseph Davies, Private 5097 James Jones and Lance Corporal 4280 William Jennings who are also remembered on the Rhyl War Memorial were killed in action during the same battle that day, as was Private Frank Thomas, who is remembered on the Bagillt War Memorial). Hugh Howel Davies was born in Bethesda, Caernarfonshire during 1881. The 1891 Census shows that the family lived at 40 Ernest Street, Rhyl, Flintshire. The head of the family was David Davies aged 43, who was a Carpenter. His wife Margaret Davies and their five (5) children – David Davies aged 14, Robert Davies aged 12, Hugh Howell Davies aged 10, Margaret Davies aged 7 and Griffiths Davies aged 5 years. During August 1914, Hugh enlisted with 1st Battalion, Royal Welsh Fusiliers at the Drill Hall, Rhyl, Flintshire. He was embodied on the 1st April 1915. Joined battalion 4th April 1915. Missing on the 16th May 1915 presumed to have died on or since that day. On 26 May 1916 a payment of £3.14s.6d was made by the War Office to Mrs Margaret Davies, this being monies owed to her son Hugh. On 3 January 1920, a further payment which is recorded as a War Gratuity of £3.0s.0d was also made to her. Hugh is also remembered on a Remembrance plaque at The Royal Alexandra Hospital, Marine Drive, Rhyl, Flintshire and The North Wales Heroes Memorial Arch, Deiniol Road, Bangor, North Wales. There is a Flintshire Roll of Honour Card for him at the County Archives Office, Hawarden, which is dated 15 September 1919.